There's apparently a rule that eco-friendly cars can't look anything like regular, gas-guzzling models, as evidenced by the odd shapes of the Honda Insight and Toyota Prius. 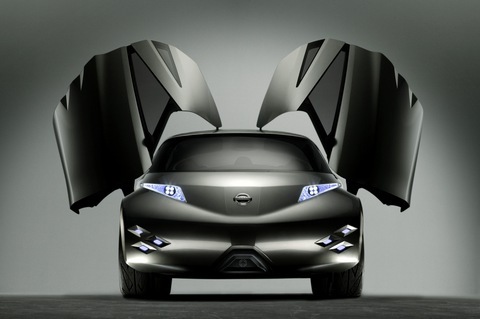 At the Frankfurt auto show, Nissan plans to follow that trend with the strangely shaped Nissan Mixim Concept. This is likely the first step toward Nissan's intent to offer an electric car in Japan early in the next decade, with field testing being conducted through fiscal year 2010. 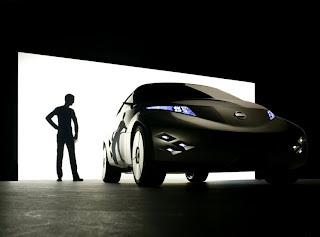 It is part of Nissan's stated goal to focus more on greener, more sustainable vehicles. 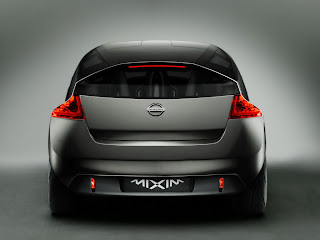 The Nissan Mixim Concept is a tiny electric car that uses lithium-ion batteries to power twin motors—one in the front and one in the back—giving the car all-wheel drive. Regenerative braking will help keep the batteries charged while driving. 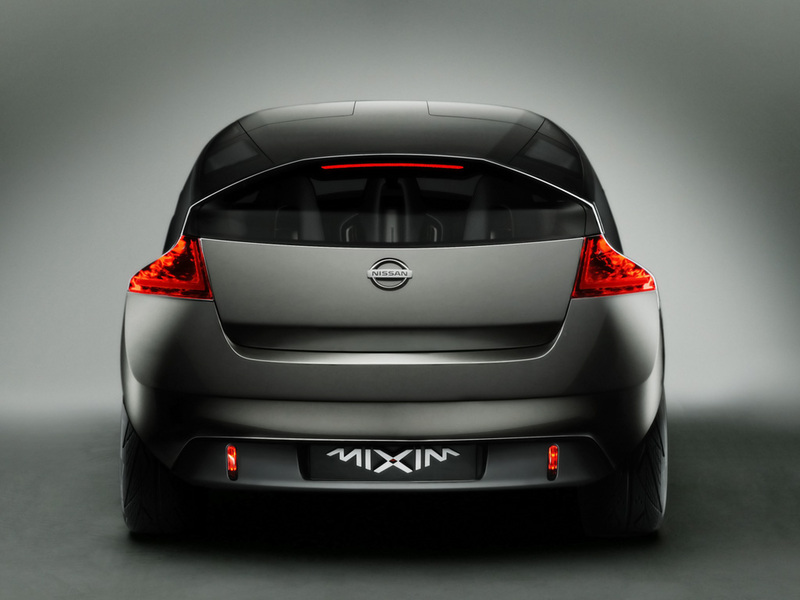 Like plenty of other European concepts, the Nissan Mixim Concept is small. It weighs in at a scant 2100 pounds and is only 145 inches end to end, making it a full two feet shorter than a Chevrolet Aveo hatchback. Still, that low weight should help keep performance and energy efficiency high. The small size means interior space is limited. As in the McLaren F1 supercar, the driver sits in the center, with a passenger seat on each side. 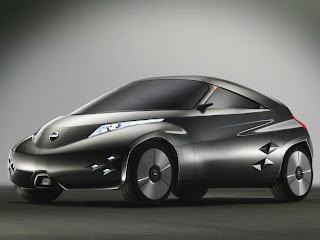 The wraparound windshield is supposed to evoke the sense of looking through a motorcycle helmet, and Nissan says the controls are inspired by computer gaming interfaces. We hope that includes a high-score table integrated into the dashboard. What's most bizarre, though, is the exterior styling. 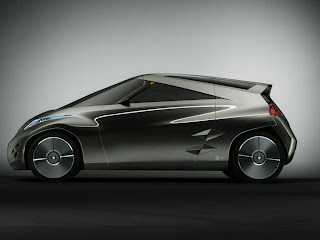 The funky three-door hatchback has triangular windows and a roof that's angled like a ski slope. Nissan says the styling "hints at sporting performance." Perhaps that's why the Nissan Mixim Concept has air-inlet scoops behind the doors. The front has a bulbous chin with LED driving lights, and the rear hatch opens to a spacious trunk where an optional fourth seat can be added in case you find an extra friend.